1 lb per 12,000 gallons of water. Make sure all pool equipment is working properly, including pump, filter, skimmer and heater. Backwash filter following manufacturers directions. Check alkalinity, pH, and calcium hardness with a test kit. Adjust alkalinity to 125-150 ppm. Adjust pH to 7.4-7.6 by adding a pH decreaser or pH increaser. Adjust calcium hardness to 175-275 ppm. When using other products outlined in directions for this product, always follow directions on those products. With pump running, broadcast 1 lb. of BioGuard Smart Shock per 12,000 gallons of pool water, directly into pool around edges. 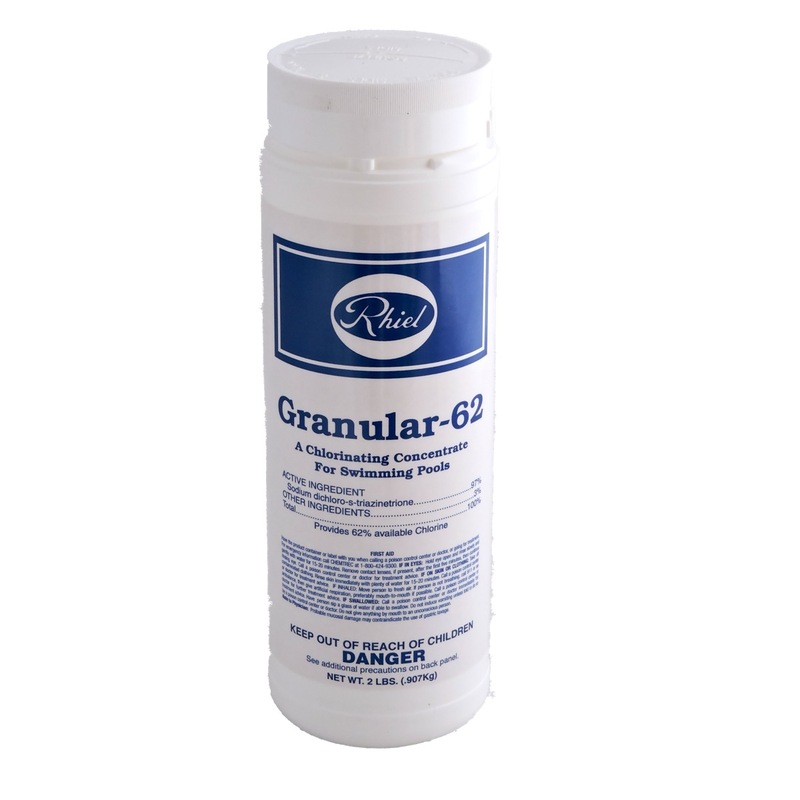 Brush any undissolved product off pool surfaces. 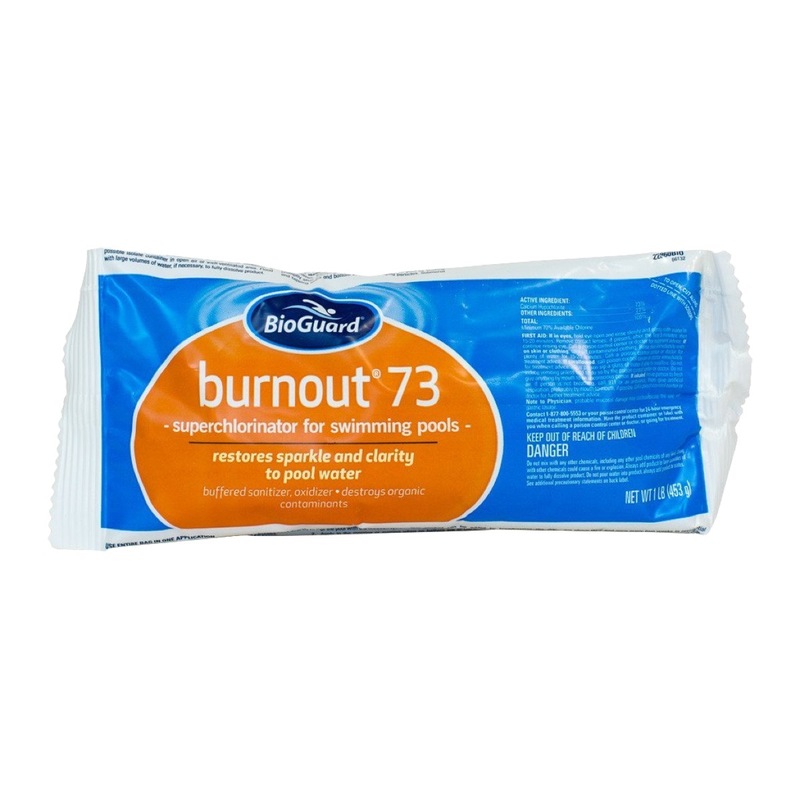 Wait at least 15 minutes after product application before entering pool. Operate pump and filter continuously for 48 hours after product addition. For best results, apply product weekly as part of your maintenance routine. Vacuum leaves and any other foreign debris from pool. Brush visible algae thoroughly from pools surface with a surface-compatible brush. With pump running, broadcast 1 lb. 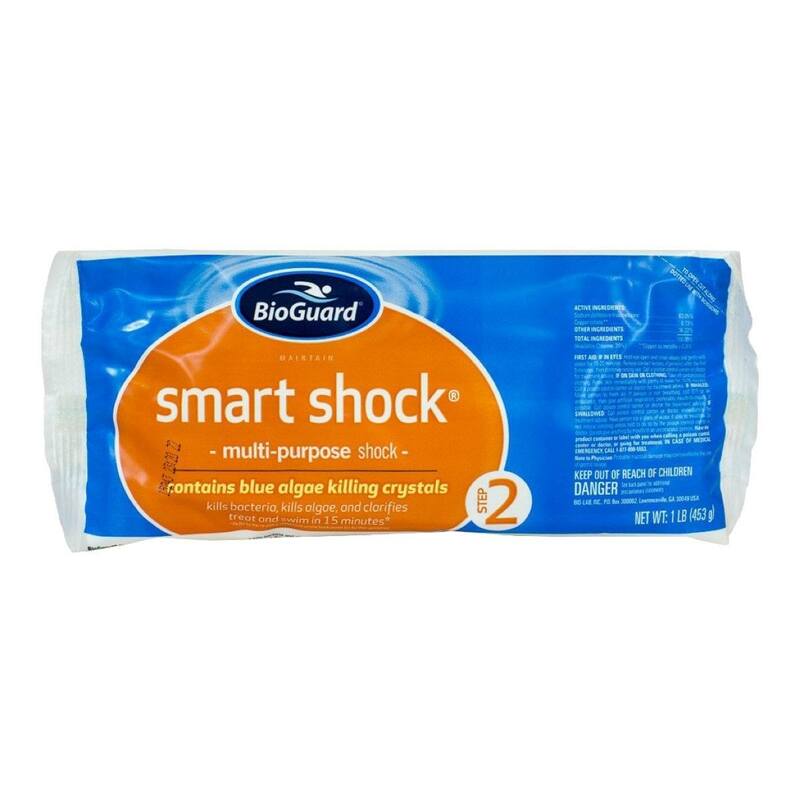 of BioGuard Smart Shock per 12,000 gallons of pool water, directly into heavy algae areas of the pool. Operate pump and filter continuously for 24 hours after product application. Afterwards, repeat brushing of pool surfaces. 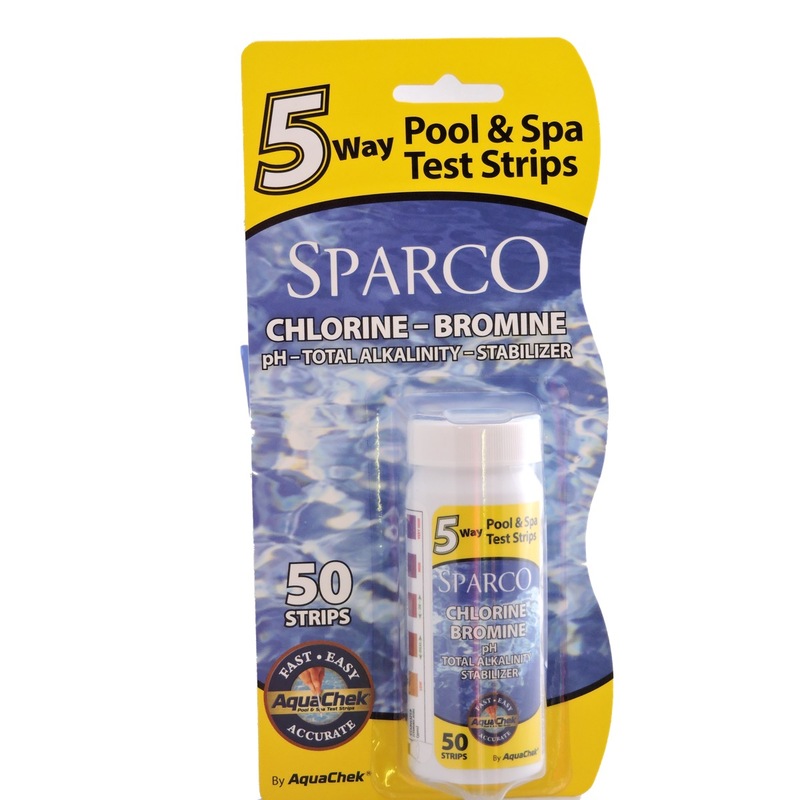 Do not enter the pool until the free chlorine residual is 1-4 ppm. If necessary repeat the treatment.